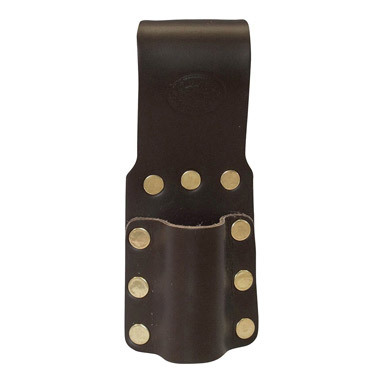 Connell of Sheffield deluxe leather single spanner holder. Hand made in the UK from premium 4mm-thick brown mahogany coloured leather. Quality leather from an established UK tannery. With brass-plated rivets. Premium spanner holster - built to last!